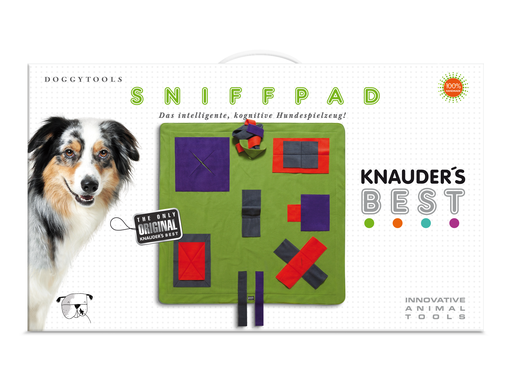 A must-have for dogs – The educational toy for a wonderful friendship! 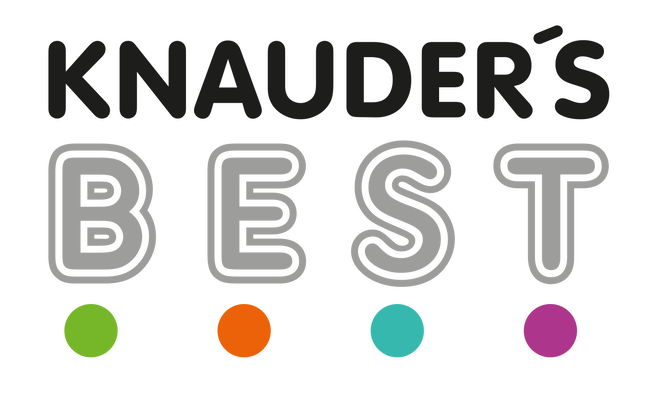 The idea behind our innovative high-quality cognitive products here at KNAUDER´S BEST is pure genius. 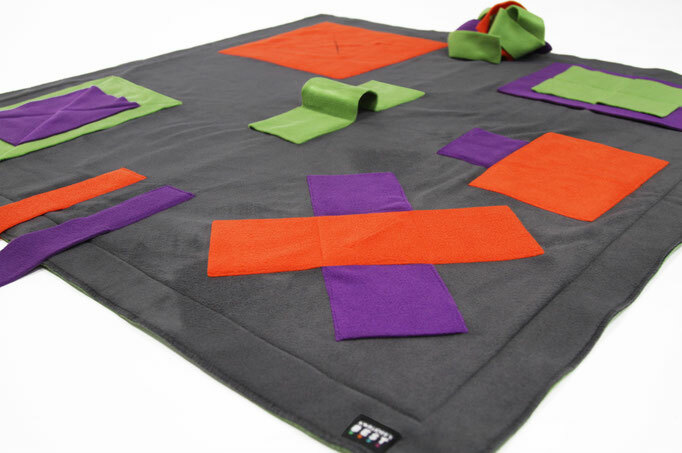 As you play together with your little darling, you develop his intelligence and trust; he becomes more even-tempered, and the bond between you is strengthened. 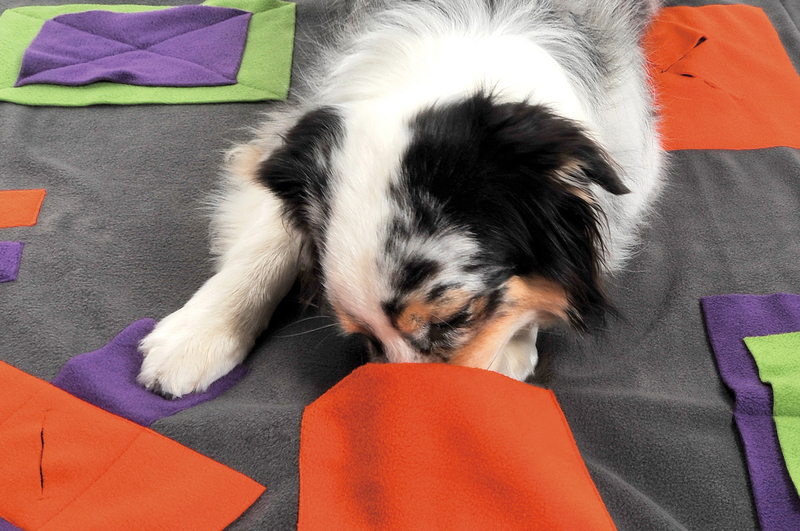 Just 7–10 minutes of activity are enough to boost your pooch’s cognitive skills, challenging him and strengthening your companionship through play. 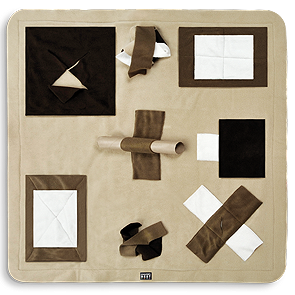 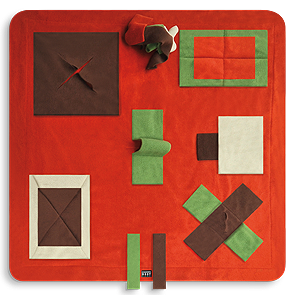 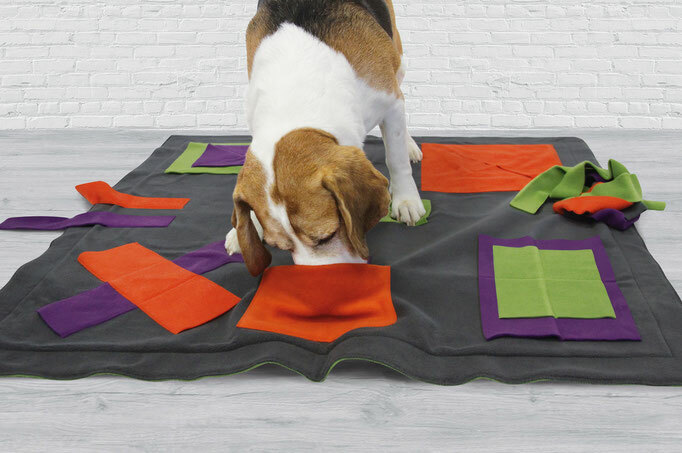 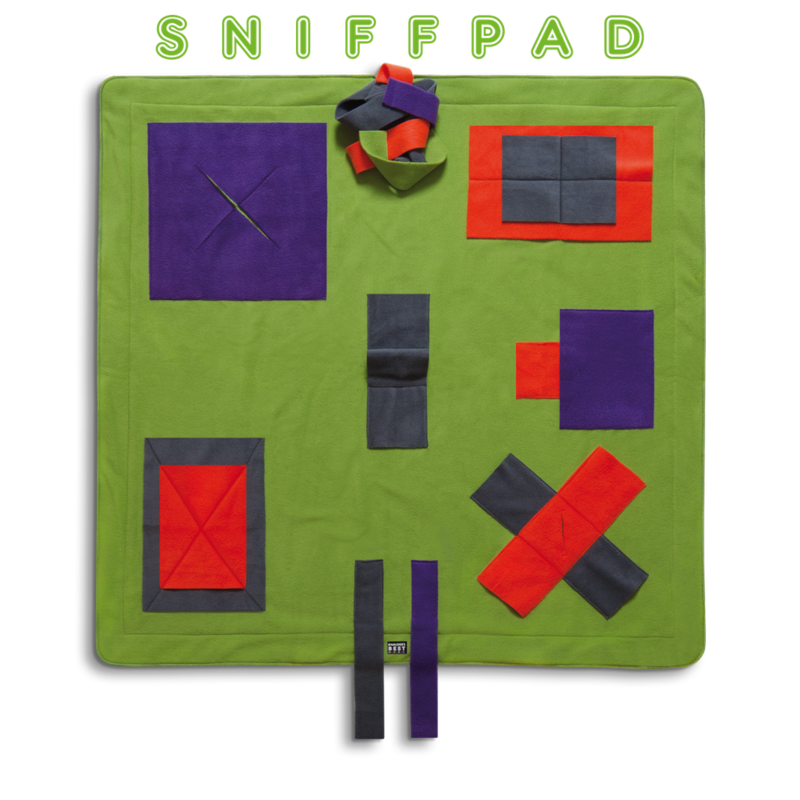 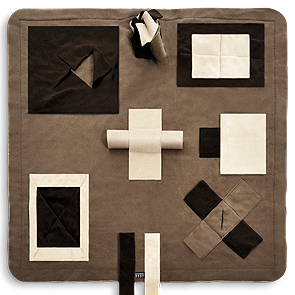 The numerous pockets and lovingly incorporated hiding places provide endless opportunities for hiding treats for your four-legged friend and guarantees hours of distraction. 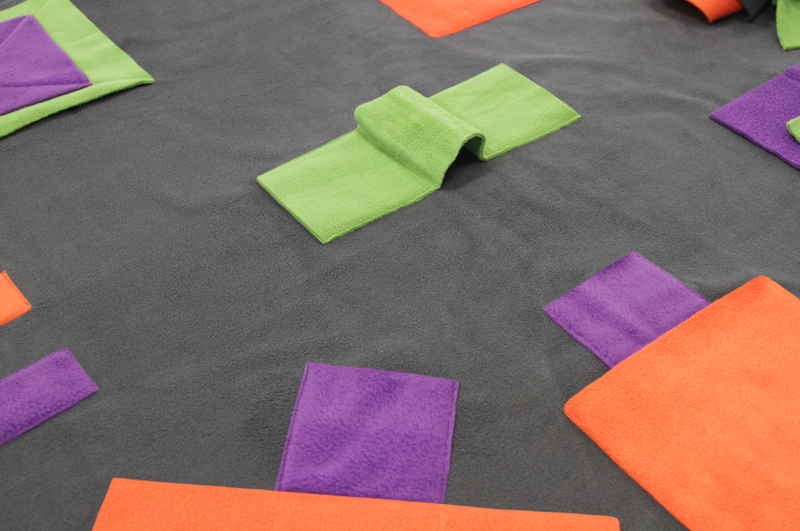 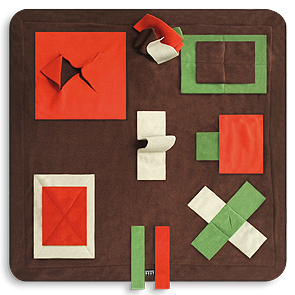 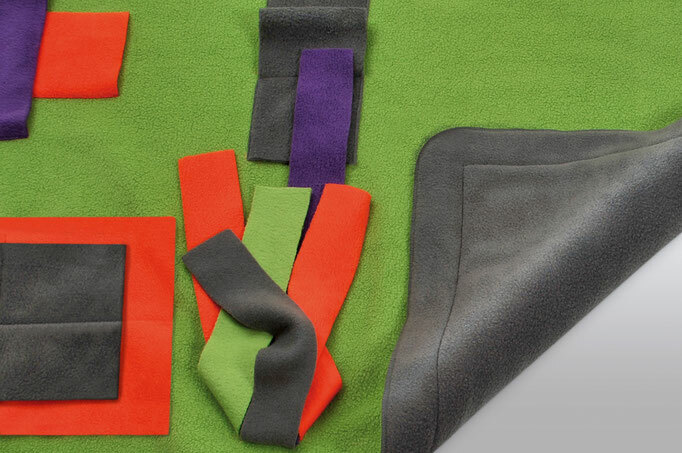 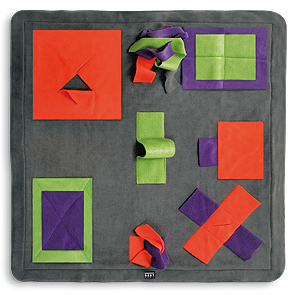 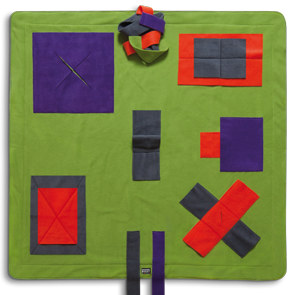 Our hand-worked textile products, made in the EU, also offer handicapped, injured and anxious dogs the chance to experience a huge sense of achievement within their own comfort zone. 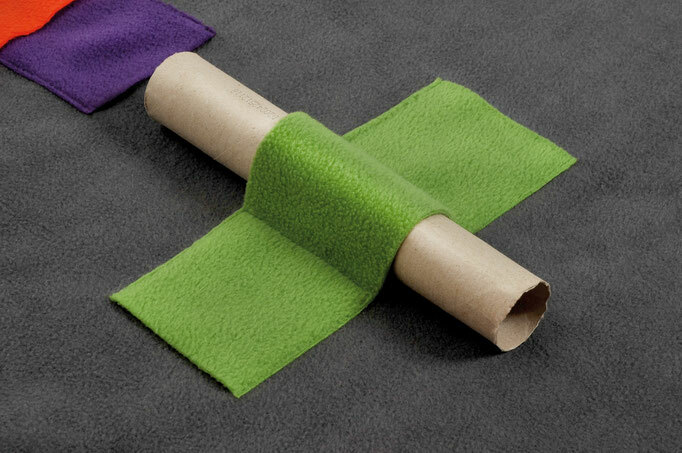 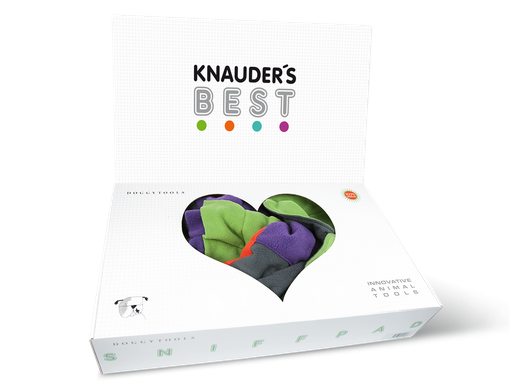 All of our product innovations here at KNAUDER´S BEST are carefully designed high-quality toys tailored to the needs of your pet and are explicitly recommended by dog trainers.